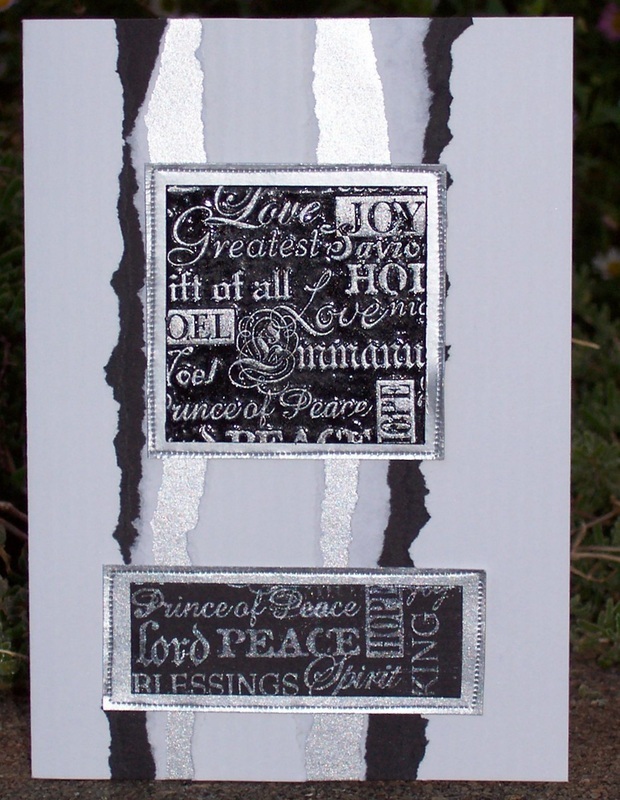 Here are 5 Christmas Card made with using the same stamp: Divine Blessings 1808 E, made by "Stamp It". 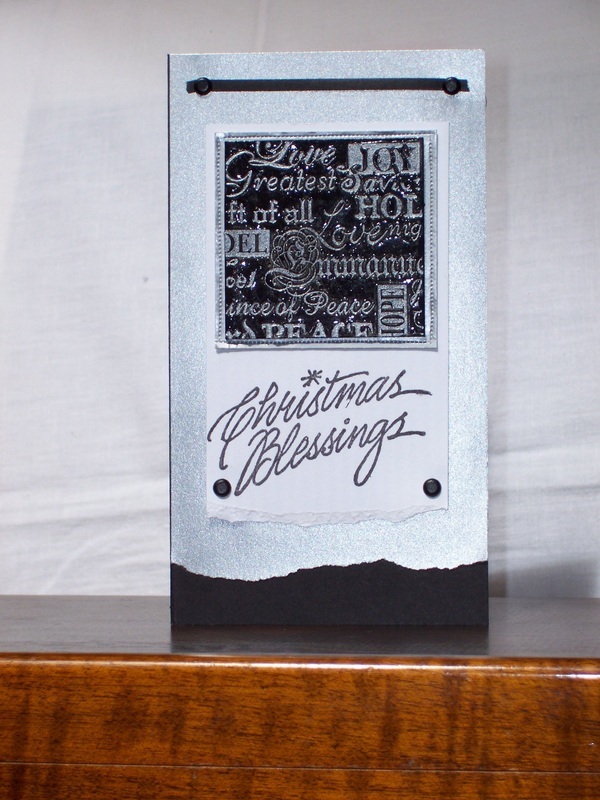 Also used is: Christmas Blessings 1421 D, made by "Stamp It". All the cards feature a square chipboard (thick cardboard) tile, which has been painted black. Ink the tile with a black ink, then cover with UTEE. The UTEE sticks to the wet ink. 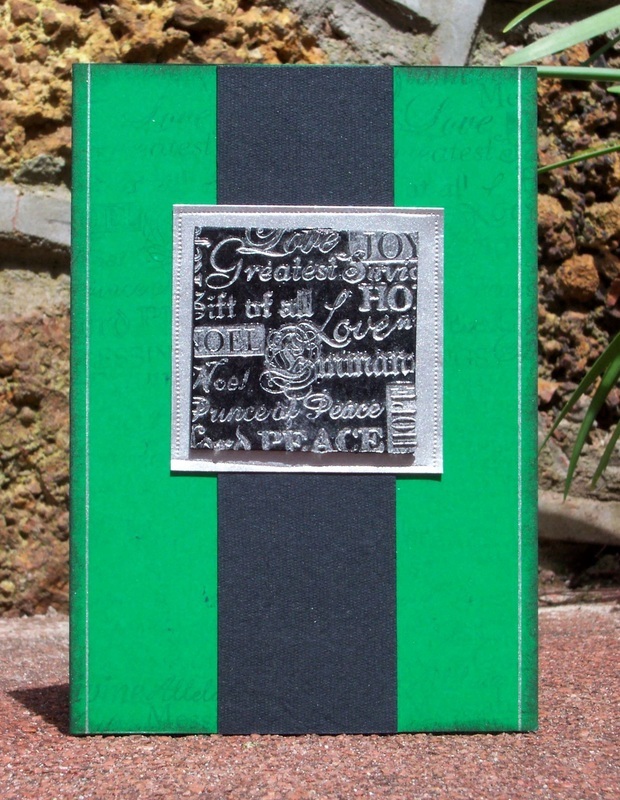 Shake off the excess grains before heating the embossing enamel with a heat gun to melt it. While the enamel is still hot, cover it again with more UTEE. Shake off the excess, then use the heat gun again to melt the UTEE. Repeat for a third layer of UTEE, and fourth layer if required to get a thick, consistent covering of UTEE enamel. 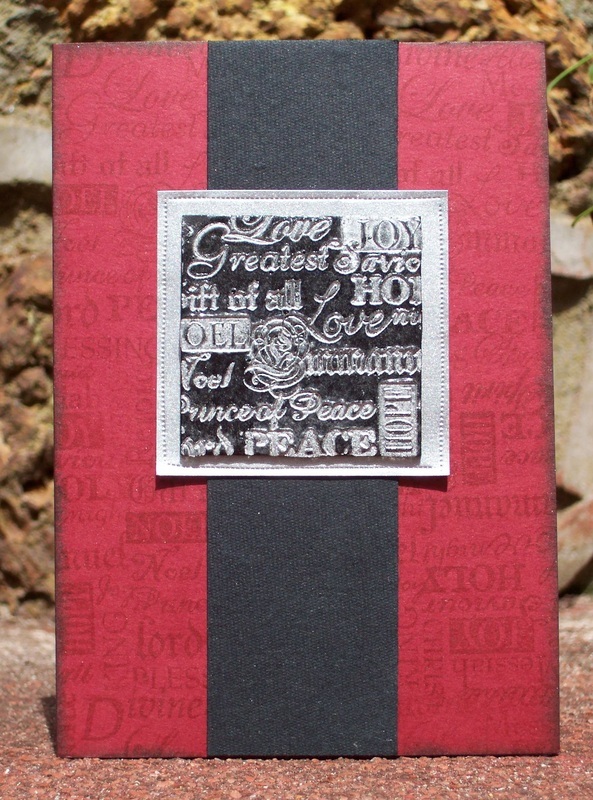 "Divine Christmas" stamp with silver ink, and gently push it into the UTEE. Leave it a few seconds for the enamel to harden before removing the stamp. 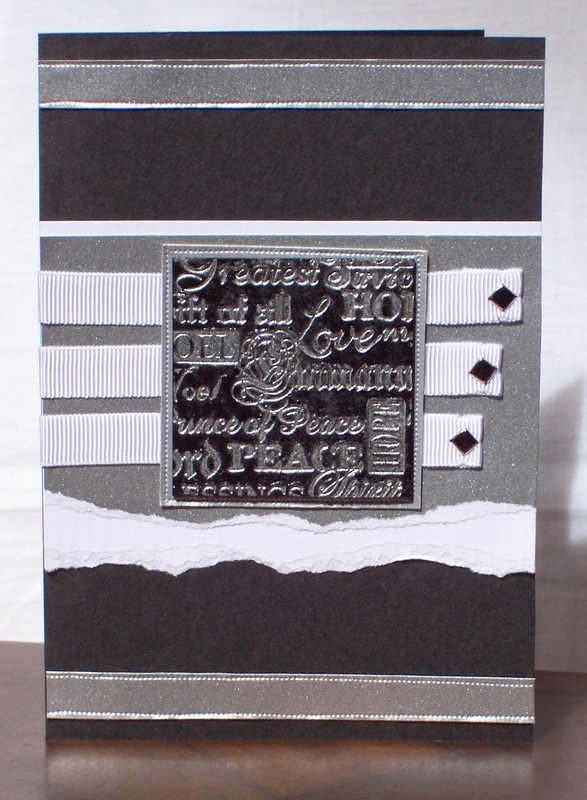 In these cards, a Punch wheel has been used to mark the borders around on the silver cardboard square that the tile is mounted on.